The project involved the paintings being removed from their frames and dry removal of accumulated dirt from the verso and recto of the canvases. Following cleaning trials the degraded varnish to the Mowers was removed and flaking areas consolidated. 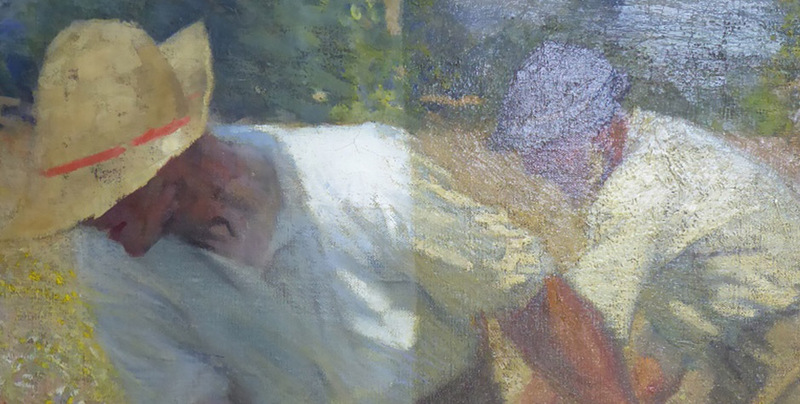 Both paintings benefitted from limited localised retouching in appropriate materials. 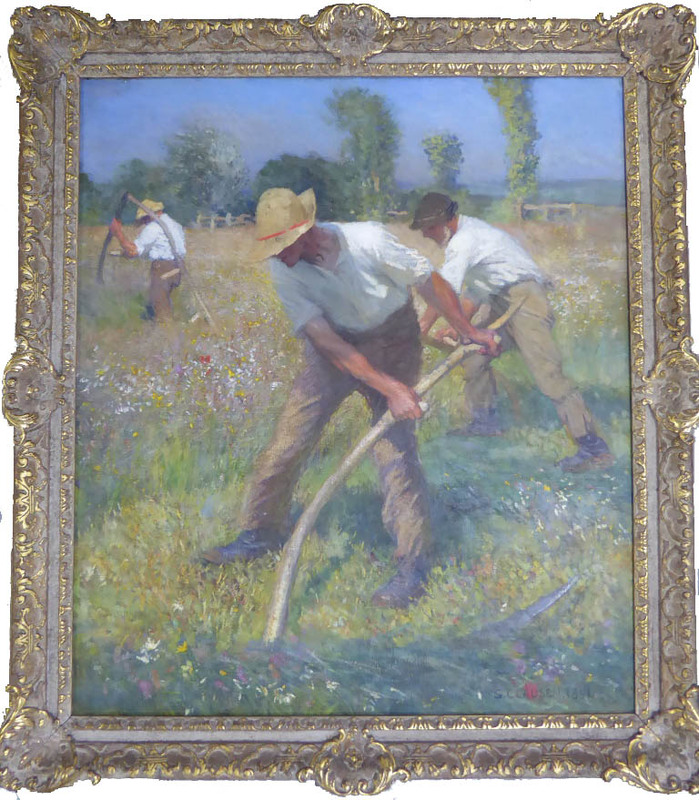 The frames were also cleaned and the tension of canvases adjusted prior to remounting using original fixings. Whilst slightly different techniques were employed for each painting, the detail and final appearance was improved allowing better appreciation of the artistic intent and ensuring risk of losses was reduced. Our thanks to The Usher Gallery for allowing us to include the details of this project in our newsletter and on our website. 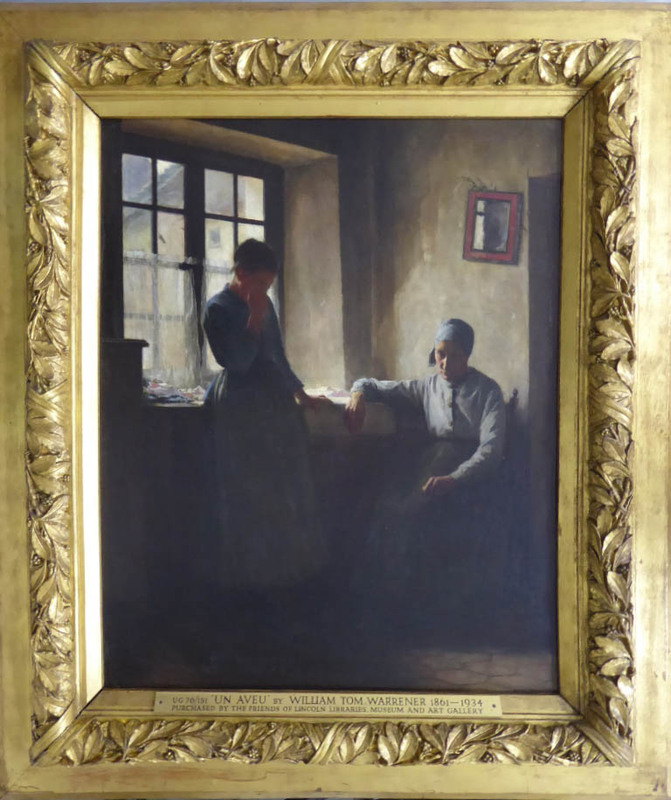 There is a museum blog for anyone wanting to explore the collection where further detail of both paintings and treatment can be found.